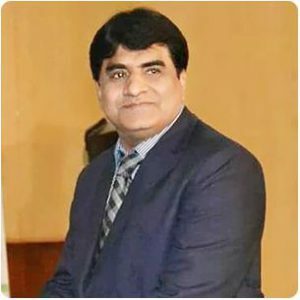 Dr. Muhammad Shaukat Malik has done his Ph.D in the subject of Business Administration and MBA from the premier business institution of Pakistan i.e. I.B.A Karachi in the year 1990. He is Certified Corporate Director from the Institute of Chartered Accountant of Pakistan. He posses rich experience of about 27 years in the field of Finance, Human Resources, Corporate Affairs and Education in various renowned Institutions. He has been on Board of Directors (Syndicate) of Bahauddin Zakariya University, Multan for three years. Presently he is serving as Sr. most Professor, faculty of Commerce Law and Business Administration, Director of the Institute of Banking & Finance and Director Human Resource Development and Community Relations in BZU. In addition, he is serving as Independent Director on the Board of Directors of a renowned Industrial conglomerate of Pakistan i.e. Fatima Group comprising of Fatima Fertilizers, Fatima Sugar, Pak Arab Fertilizers, Reliance Weaving Mills, Fatima Energy etc. since 2015. He is also on Board of Directors of Multan Waste Management Company Government of Punjab, for the last 2 years & member of Monitoring Committee Nishtar Medical College and Hospital Multan. He is the member of Senate, Finance & Planning Committee of BZU, advisor to Punjab Public Service Commission, State Bank of Pakistan and Member of Selection and Recruitment committee of different institutions and Universities of Pakistan and HEC Approved Supervisor for Supervising MS and Ph.D students and Member Board of Study, NFC, Institute of Engineering and Technology, Multan and Member Advanced Study and Research Board, Institute of Southern Punjab, Multan and Member Traffic Coordination Committee Multan Police, Multan. He is an author of more than 80 research papers published in reputed National & International Journal & Newspapers on Business related issues. He has presented his research papers in many conferences held in Pakistan at IBA, LUMS, BZU, Punjab University, COMSATS etc, and abroad at Oxford, Cambridge, London School of Economics etc. Alongside, he has produced about 75 M.Phil. students in the field of Business Administration and supervising 05 PhDs students in Business Administration subject.